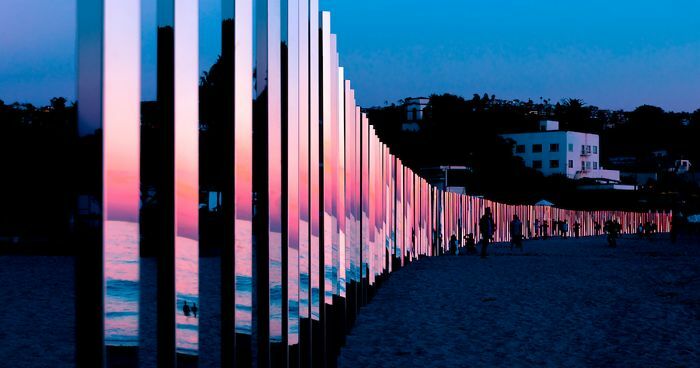 Phillip K. Smith is an American artist who explores perceptions of light, color, and space and he found the best place to do it. 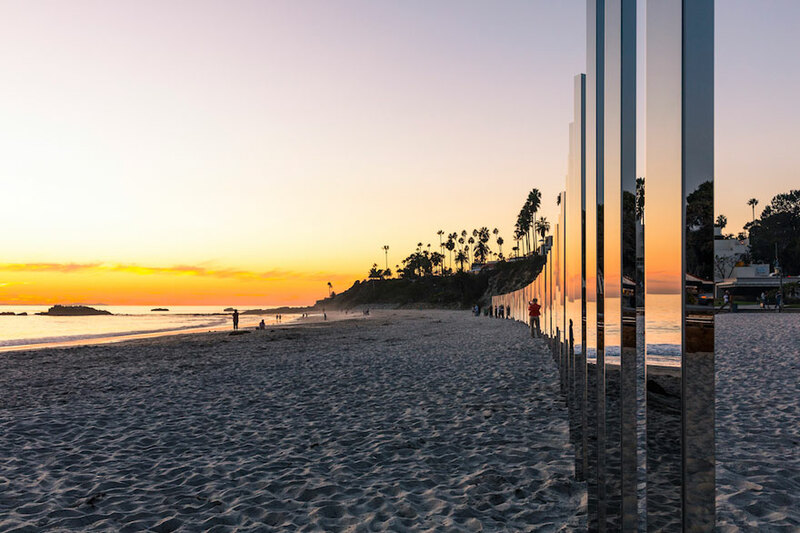 Smith installed nearly 250 mirrored posts on a coast in Laguna Beach, California, ensuring that they reflect the waves instead of being “swallowed” by their force. 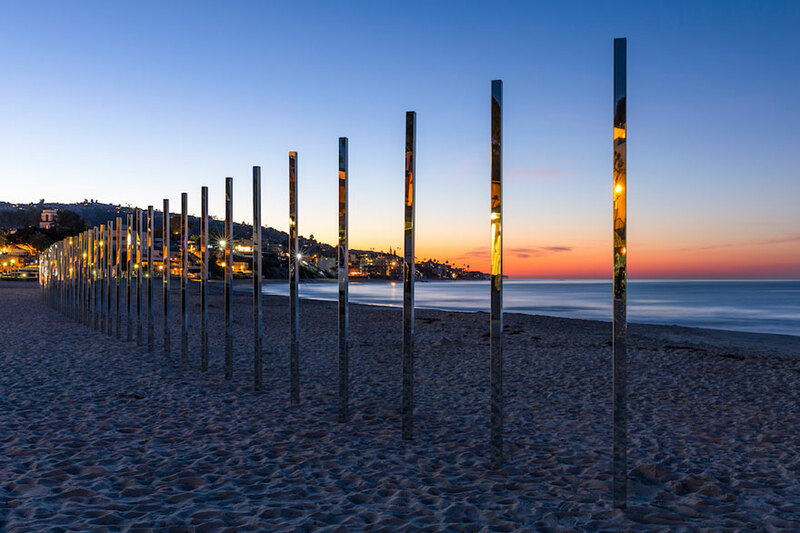 The reflective poles were made from stainless steel and stand about 10 feet (3 metres) high, evenly spaced along the coast. 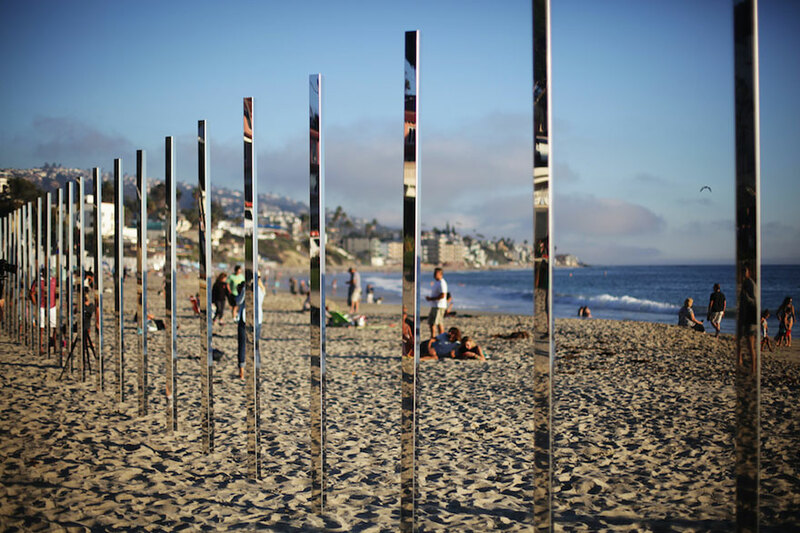 “Viewers may experience 1/4 Mile Arc both from a distance, with vantage points all along the cliffs and street, and from close up on the beach.” There have been concerns that these poles might be dangerous to birds, but it was displayed only a couple of days and no reports about bird harm were released. 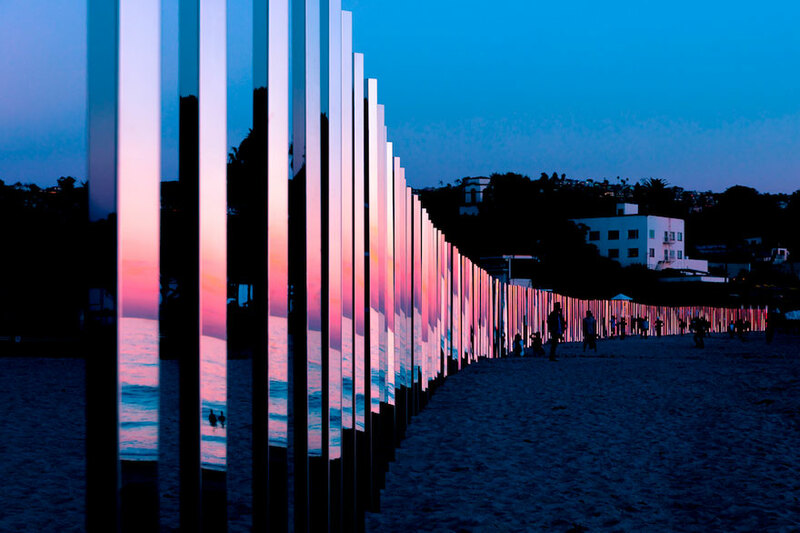 Finally, the sunset got to see how beautiful it really is.